A 100km / 63 mile Audax event just brushing the Cotswold hills, taking in the upper Thames, Evenlode and Windrush rivers. I will lead a 'club ride' group for those who would like to ride together. This is a very good route and combines a nice 100km course with remarkably little climbing. In recent years, we have kept stops to a minimum and mainly picked up drinks and snacks at the cafe/shop in Chadlington - I will plan to do the same this year. A frosty morning but a cloudless blue sky was a great backdrop to the 100 or so riders setting off on this excellently organised Audax. A group of eight of us decided to ride together as the 'ride within the ride'. 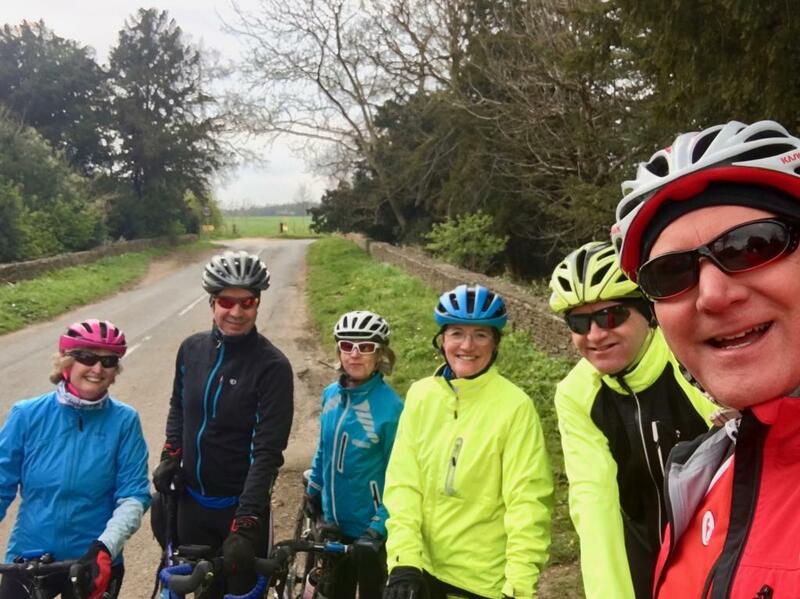 It is a lovely route and we enjoyed the back roads up to Cogges cafe in Witney and then did a bit of climbing in the foothills of the Cotswolds to the furthest point in Chipping Norton. We did our lunch stop at the little cafe in Chadlington which was, as always, great. By then the skies had clouded over and we had a cold easterly wind to contend with. But we were soon back on familiar roads, conquered the last hill at Buckland and were back in time for the last of the excellent Flexicare refreshments - thanks, Katherine! A great group and a lovely day out.